Some of my daily communications work involves simple designs for infographics, flyers and graphics for videos. As I simply have too much on my plate to turn to my Adobe Illustrator or Indesign for every these fairly straight-forward designs, I have started using Canva as my and my team’s main to-go-to design platform. 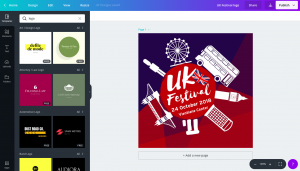 Canva is amazing as it lets you build powerful designs in just minutes. It stores all your necessary corporate identity elements including colour palettes and fonts in simple-to-use brand kits. I rarely spend more than a couple of minutes to produce a new graphic for a blog post or facebook message and can keep designing posters and brochures for some of my volunteer activities manageable. Canva does a lot for you in the free version, but I have upgraded to the professional one quite a while ago already – with a few extra features that make it easier to routinely work on some design stuff. In simple words: Canva has boosted my productivity by keeping it simple and to just what I need. And it took me another 15 minutes to develop this logo into a first poster draft that I could present to some of the intended partners for the event. Nothing that would be picture-perfect, but just what I need to communicate to stakeholders that we are on top of the preparations and something impressive enough to convince them to support the event. I admit that a logo is still different from a normal communications tool such as a brochure or poster. So for a more sophisticated task or more complex products I would most certainly turn to an agency for logo design, as I truly believe in solid research and in-depth testing of different logo options. But if you have a good idea of what you are looking for (for example when you already have a corporate identity in place and just need to develop this further or create a substitute product), or simply can’t afford to pay a designer – Canva is my number one recommendation! 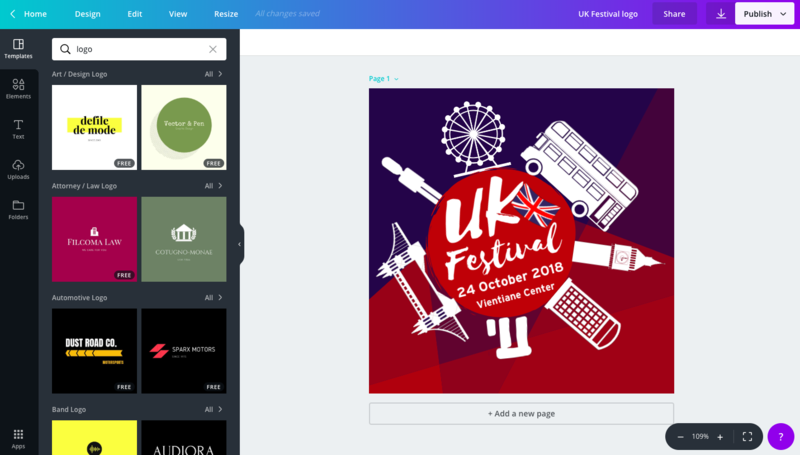 Canva takes only a few minutes to understand and get used to, and with its templates and all-but-essential features will help you design something absolutely usable.